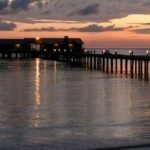 Some of our favorite activities on Anna Maria Island. Your kayak tour will get you up close and personal with dolphins, manatees, exotic birds, and other wildlife. Sarasota is one of the best places in the world to kayak. These experiences are one of a kind, and could be the memory of a lifetime. Bring your camera! 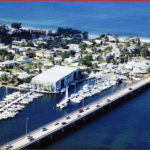 Bradenton Beach Marina is a full service service resort marina located just off the Intracoastal Waterway on beautiful Anna Maria Island.They are a family owned and operated business, established in 1982. It all begins in Bradenton! 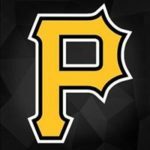 Come see the Pittsburgh Pirates during their Spring Training season. If it’s not on your bucket list, maybe it should be. 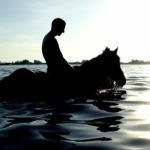 Isn’t the dream of riding a horse on a beach motivation enough to plan a weekend visit to nearby Anna Maria Island? This gorgeous stop can’t be missed. Shop, take in the views of the Sunshine Skyway Bridge, watch the wildlife, or fish! 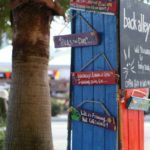 You can’t visit Anna Maria Island without checking this out. 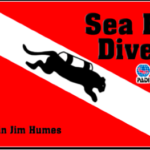 Located on the beautiful turquoise water of Florida’s Gulf Coast, this is Bradenton Beach’s premier full service dive shop. Sea Kat Divers has its own charter boat, The Sea Kat, to handle all of your charter boat needs. “Anna Maria’s Hot Spot” is now Historic Bridge Street on Bradenton Beach, the southernmost city of Anna Maria Island. Bridge Street offers a walkable community with spectacular water views from the both the pier and the gulf beach. Yolo Parasailing provides amazing parasailing and sightseeing around Anna Maria Island. YOLO Adventures has been operating in this area for 10 years. You Only Live Once!